Monday Update #2: Universal is reporting that Jurassic World grossed $208.8 million this weekend, which sets a new all-time opening weekend record. Monday Update #1: Early reports this morning have Jurassic World's final weekend tally hitting $209 million, which tops the $207 million haul of the first Avengers. We're still waiting on an official number from Universal. Sunday Update: In one of the most stunning and remarkable box office performances in memory, Universal and Legendary Pictures' Jurassic World absolutely demolished expectations this weekend with an estimated $204.6 million. The fourth installment of the long dormant blockbuster franchise delivered the second largest opening weekend performance of all-time, behind only the $207.44 million debut of 2012's Marvel's The Avengers. With an estimated separation of only $2.84 million between the two films, it is still possible that Jurassic World could ultimately break the all-time weekend record if it should exceed expectations on Sunday. Either way, Jurassic World will represent only the second film ever to open with more than $200 million and will outpace the recent $191.27 million start of Avengers: Age of Ultron by a comfortable margin. Jurassic World shattered the previous opening weekend record for the month of June, which had been held by 2013's Man of Steel. Jurassic World opened a massive 75 percent stronger than the $116.62 million opening weekend performance of Man of Steel and did so without having the advantage of opening over Father's Day weekend that Man of Steel had. Jurassic World also easily topped the $147.19 million debut of Furious 7 earlier this year to become the largest opener ever for Universal. The Jurassic Park franchise has a history of record breaking performances, as both 1993's Jurassic Park and 1997's The Lost World: Jurassic Park broke the all-time opening weekend record at the time of their respective releases. A number of factors helped contribute to the break out performance of Jurassic World this weekend. Thanks in part to the 14-year gap between the film and 2001's Jurassic Park III, Jurassic World was able to build off of the nostalgia and legacy of Jurassic Park without being weighed down by the less enthusiastic reactions to The Lost World and Jurassic Park III. The film was also helped out by being the first Jurassic Park film to be aided by higher priced 3D and IMAX admissions (an estimated 48 percent of the film's grosses were from 3D engagements), by the presence of Chris Pratt fresh off his success with last year's Guardians of the Galaxy, by a very strong marketing campaign and by being the only new action-adventure film for audiences throughout the entire month of June. Jurassic World opened with $82.6 million on Friday (which included an estimated $18.5 million from Thursday evening shows), fell 16 percent on Saturday to gross $69.7 million and is estimated to decline 25 percent on Sunday to take in $52.3 million. That places the estimated opening weekend to Friday ratio for Jurassic World at 2.48 to 1, which is exceptional when dealing with grosses of this size and is a very strong early sign for the film going forward. Jurassic World received a strong A rating on CinemaScore. In addition to strong word of mouth, Jurassic World will also be aided going forward by the Father's Day holiday next weekend and by the lack of direct competition for action fans until Paramount's Terminator Genisys enters the marketplace on July 1. The audience breakdown for Jurassic World was nearly evenly split between genders (52 percent male, 48 percent female) and skewed towards moviegoers 25 years and older (61 percent). Jurassic World makes Universal's strong 2015 performance even stronger, as it now leads a slate that has already included Fifty Shades of Grey, Furious 7 and Pitch Perfect 2. The studio will look to continue its roll with the release of Ted 2 on June 26 and Minions on July 10. In other box office news, Fox's Spy placed in a distant second with an estimated $16.0 million. The Melissa McCarthy led comedy was down one spot and 45 percent from last weekend. There is no doubt that the softer than anticipated performance of Spy thus far is at least in part due to the break-out performance of Jurassic World this weekend. Spy has grossed $56.94 million through ten days of release. 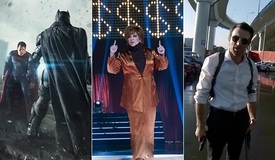 That places the film an underwhelming 20 percent behind the $70.96 million ten-day start of 2013's Identity Thief. Warner's San Andreas claimed third place with an estimated $11.01 million. The Dwayne Johnson led 3D disaster film was down an understandably sharp 57 percent, as the film clearly took a direct hit from the arrival of Jurassic World. Despite this weekend's hold, San Andreas continues to significantly outpace expectations with a strong 17-day take of $119.32 million. With the launch of Jurassic World now out of the way, San Andreas could stabilize going forward, especially with the aid of Father's Day next weekend. Focus' Insidious: Chapter 3 landed in fourth place with an estimated $7.3 million. The third installment of the low-budget horror franchise from Gramercy and Blumhouse Productions was down one spot and a very sharp 68 percent from last weekend. The film's second weekend decline was quite expected given the added presence of Jurassic World and that 2013's Insidious: Chapter 2 fell 66 percent in its second weekend. Insidious: Chapter 3 continues to perform on the low end of expectations with a ten-day take of $37.37 million. Universal's Pitch Perfect 2 rounded out the weekend's top five with an estimated $5.97 million. The successful musical comedy sequel starring Anna Kendrick was down a slim 21 percent from last weekend. Pitch Perfect 2 easily had the weekend's strongest percentage hold among wide releases and was aided from playing as a double feature with Jurassic World at many drive-in locations. Pitch Perfect 2 has grossed a significantly stronger than expected $170.69 million in 31 days. Warner's Entourage followed in sixth place with an estimated $4.34 million. The theatrical version of the HBO comedy series continues to display significant front-loading, as it was down 58 percent from last weekend. Entourage has grossed a lackluster $25.87 million through twelve days of release. Saturday Update #2: A wave of nostalgia, Chris Pratt's rapidly rising star power, and one of the best marketing campaigns in years have paid off for Universal and Legendary Pictures in an even bigger way than already expected. The studio reports this morning that Jurassic World rocked the box office with a stunning $82.8 million opening day, giving it the third highest first day gross in history behind Harry Potter and the Deathly Hallows Part 2 ($91.1 million) and Avengers: Age of Ultron ($84.4 million). Even more impressive is the fact that after its already-strong $18.5 million Thursday night gross, the film earned $64.3 million on Friday proper -- the highest single day gross of all-time when excluding any Thursday night or midnight grosses. That record previously belonged to Marvel's The Avengers with $62.1 million (removing its $18.7 million in midnight show earnings). There are more than enough statistics to begin culling from World's shocking performance so far. Compared to its own franchise... there are no comparisons. Although the original Jurassic Park ($47 million) once claimed the opening weekend record in 1993, as did its 1997 follow-up, The Lost World ($72.1 million), those numbers still wouldn't reflect the massive attendance of Jurassic World when adjusted for inflation ($92.2 million adjusted weekend for the original and $128 million adjusted for the second pic). In fact, World is poised to exceed the entire domestic run of 2001's Jurassic Park III ($181.2 million) in just three days. On the all-time weekend chart, Jurassic World will break up Marvel's dominance on the top three spots. Iron Man 3's third-best $174.1 million weekend will fall a spot, and Ultron's $191.3 million should go down as well given the strength of World's Friday business combined with the presumption that it will continue playing strongly on Saturday and Sunday thanks to very positive word of mouth. 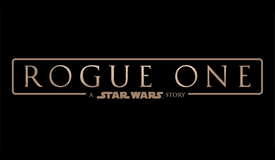 Unconfirmed reports from other outlets suggest it received an "A" CinemaScore, while Flixster users have given it a strong 87 percent approval. No June release has ever approached Friday attendance levels this high (meaning comparisons aren't concrete right now) and schools being out this time of year means some front-loading to Friday is reasonably expected. 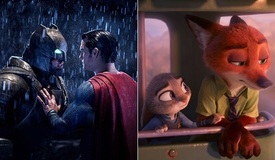 That said, giving World the same weekend math as Man of Steel (the June record-holder entering the weekend) when adding in all of the latter's Thursday preview grosses would net $190 million -- and that 2013 film didn't have near the kind of post-preview business or healthy word of mouth as World seems to. Also worth noting are the NBA Finals on Sunday which could hamper evening grosses, although word of mouth may be able to compensate for that. All told, we think momentum is unstoppable at this point and Jurassic World is on pace to become the second film ever to crack the $200 million threshold, with a realistic shot at breaking the first Avengers' all-time $207.44 million opening weekend record. Universal itself projects a $181.4 million weekend, but we're aiming higher in our official projection of $210 million. In other news, Spy was off 54 percent from its opening day last week to $4.775 million in second place yesterday. The Melissa McCarthy-Paul Feig laugher has tallied $45.7 million in its first eight days of release. 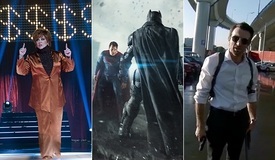 BoxOffice projects a $15.5 million sophomore frame. In third, San Andreas added $3.13 million for a 59 percent Friday-to-Friday drop. The disaster flick's domestic haul now stands at $111.44 million as it heads for a third weekend around $10.5 million. In fourth place yesterday, Insidious Chapter 3 was down 74 percent from its opening day last week to $2.675 million. The horror sequel's eight-day sum is $32.75 million as it heads for a weekend around $8 million. Filling out the top five, Pitch Perfect 2 added $2 million on Friday -- down just 23 percent from last week. The sequel's domestic total is now $166.7 million. 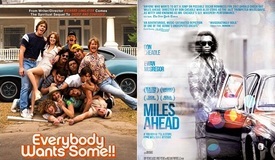 BoxOffice projects a $5.8 million weekend. Meanwhile, Me and Earl and the Dying Girl posted $69,254 from 15 locations on Friday, giving it a $4,617 per-theater average. The well-reviewed Sundance performer is aiming to build buzz through word of mouth in limited release, and could tally around $215,000 this weekend. Saturday Update: Universal reports this morning that Jurassic World amassed an absolutely stunning $82.8 million on opening day Friday, putting it on course for the biggest opening weekend of 2015, and possibly even a chance at the all-time record held by Avengers. 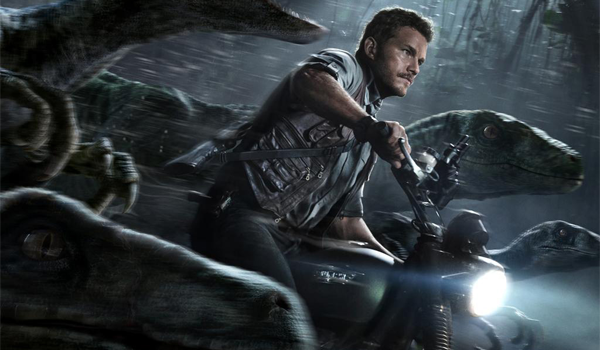 Friday Update #3: Sources tell BoxOffice that Jurassic World continues to surge this evening. Projections are now rising to a possible $70 million opening day (including last night's previews). If that holds, opening weekend could total around $160 million. Ordinarily, sequels are susceptible to massive front-loading on Fridays during summer, but in this case it's reasonable to still expect strong matinee business on Saturday (especially considering that early word of mouth is very positive). We'll have more coverage tomorrow morning when the hard numbers roll in to offer a stronger weekend projection. Friday Update #2: Sources report that Jurassic World is currently trending for an opening day close to $65 million based on matinee performance and the trend of evening show pre-sales. If that figure holds, it would likely net the highly anticipated sequel a huge opening weekend of $145-150 million+ -- more than enough to give it the June record, and possibly enough to top distributor Universal's earlier 2015 blockbuster Furious 7 ($147.2 million). More updates as they come, and check BoxOffice on Saturday morning for more concrete projections based on official Friday estimates from the studios. Friday Update #1: Sources report that Jurassic World bowed to an excellent $18.5 million from shows beginning at 7pm on Thursday night. That appears to put the film on a continued course for the June opening weekend record, currently held by 2013's Man of Steel ($116.6 million). Last night's stellar performance for the dino sequel notably topped Furious 7's $15.8 million Thursday haul, that film having gone on to a $147.2 million weekend. However, with most schools now out of session and vacation season beginning, the comparison with Jurassic World isn't apples-to-apples.